"Going up north" has taken on new meaning since returning from a month long expedition to the North Pole and Franz Josef Land. There were times while painting on the trembling bow of a northbound atomic icebreaker that I was the furthest north human on the planet. Truly on top of the world! The quality of seeing is often more important than the object however the power of a place can awaken the senses and erase preconceptions. This formidable yet fragile wilderness of endless ice and great white bears is so inspirational that I will have to go back. 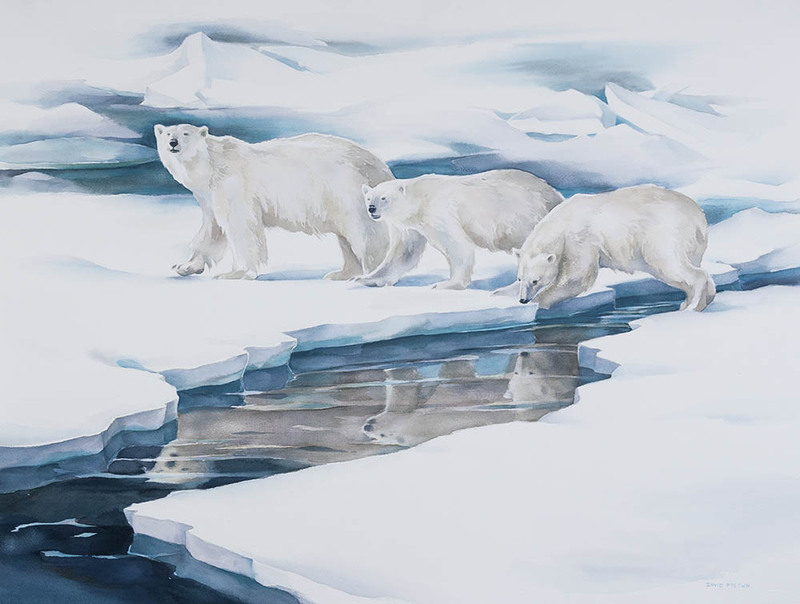 The following paintings were painted on the drifting ice within the vicinity of the North Pole or on deck while moving through pack ice. 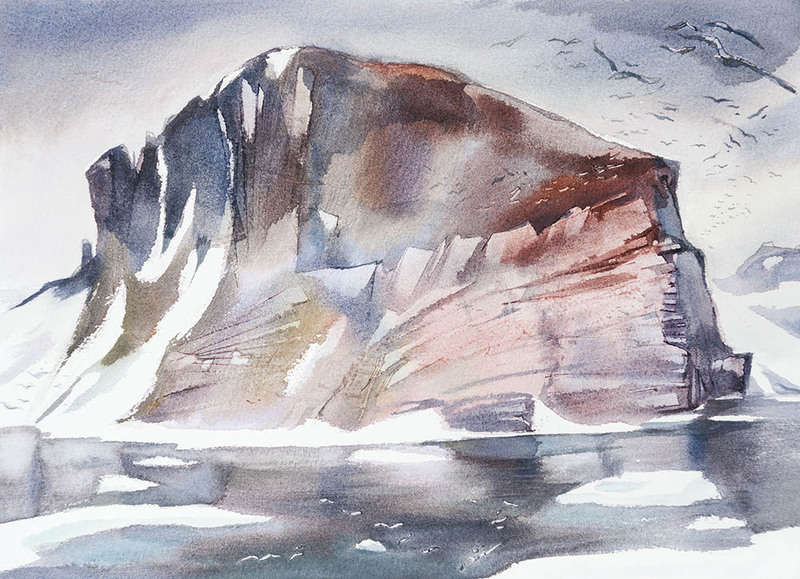 The islands of Franz Josef Land also provided much reference and wonder through its wild life and geological features. Studio works from this expedition will be posted on this page soon. Thanks to the fellow passengers and the Quark Expedition team that helped make this adventure possible. Antarctica is a painters dream. It's like discovering a new world of unforgiving beauty, a giant in scale, with shapes reduced to basic raw elements. Colours of ice so subtle, translucent and fragile inhabited by innocent curious creatures that have no fear of us. 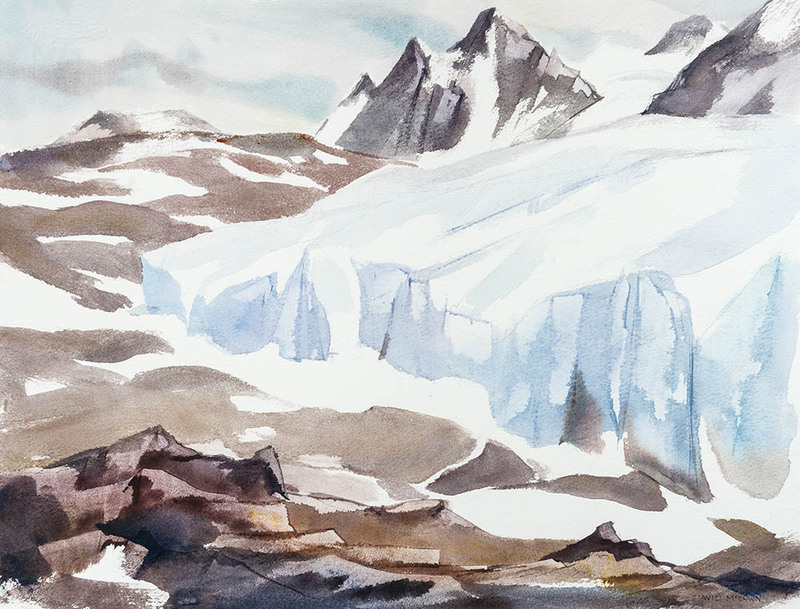 The recent works on this page are inspired by a Semi-Circumnavigation Expedition by Icebreaker around Antarctica from November 2, (spring time down south) to December 12, and departed from the Cape Horn of South America and ending in New Zealand. This spectacular and remote journey was made only possible by a polar class icebreaker, the Kapitan Klebnikov for Quark Expeditions. The visit to the historic huts of the Ross Sea is one of the highlights of our journey. These were the expedition bases of the heroic age of Antarctic exploration. 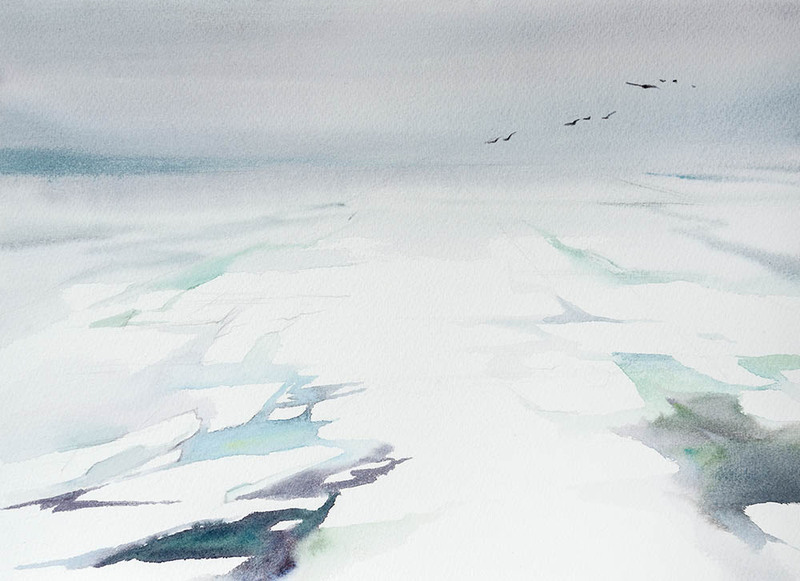 In the morning we arrived at Cape Royds by helicopter from the ship parked 5 miles out on the ice edge. This is where Shackleton's hut was built during his Nimrod Expedition of 1907-09, which included an attempt to reach the South Pole. 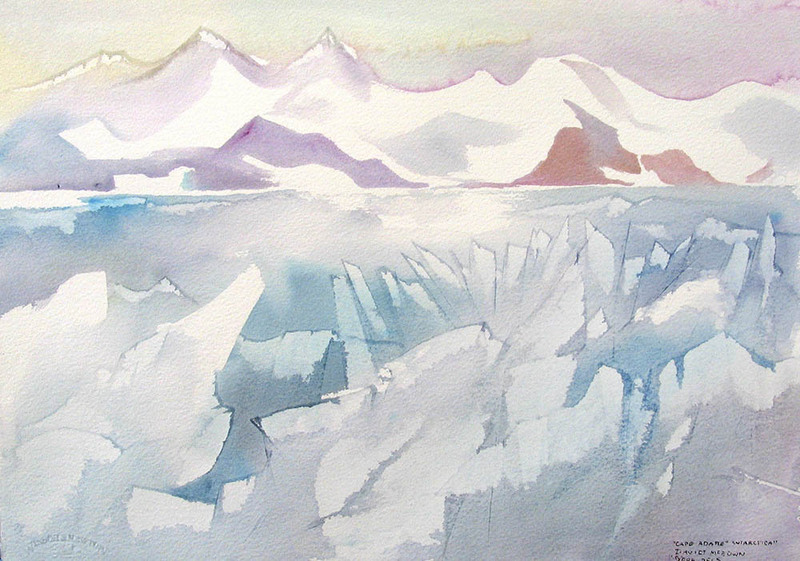 See the Antarctica Project for more paintings!